When these two teams previously met on the New Years Day, it was Sydney Sixers who won the match. Despite Lynn thumping 84 from 55 balls, Tom Curran 3-25 and Moises Henriques half-century proved to be better as they claim 5 wicket win. Brisbane will be looking to win this contest at Sydney Cricket Ground on 20th Jan.
Sydney Sixers have lost back to back 2 matches in a row with a huge margin which has affected their Net run rate badly. Batting has not been able to come together, Baring Daniel Hughes and Jordan Silk no one is able to perform with the bat. It is the bowling which has won them matches, Steve O’ Keefe is the leading wicket-taker of the tournament with 15 wickets, Tom Curran is amazing with the bat and ball. To get 2-0 against Heat their Batting needs to perform well. Brisbane Heat started this season with three consecutive defeats but they had won three from four before the floodlight failure caused by the Brisbane power cut last time out forced a no result against Sydney Thunder. Chris Lynn has been superb this season, he has been pivotal of this team. Brendon McCullum with 3 fifties along with Max Bryant quite contributing, which has helped them to win 3 matches. It is the bowling which needs to look after, no one has provided a match-winning contribution so they might tinker with their bowling. Steketee could be an option after the bowling proved expensive. 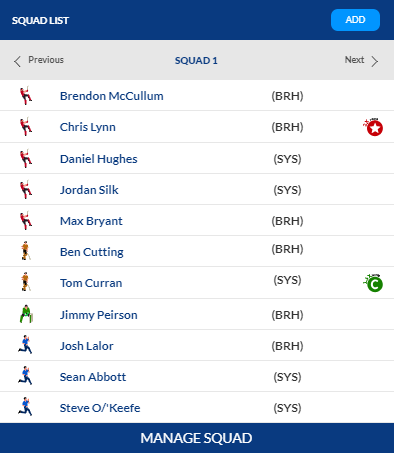 Brisbane Heat: Brendon McCullum, Max Bryant, Chris Lynn, Sam Heazlett, Ben Cutting, Jimmy Peirson, Mark Steketee, Josh Lalor, Jack Prestwidge, Mitchell Swepson, Mujeeb Ur Rahman. 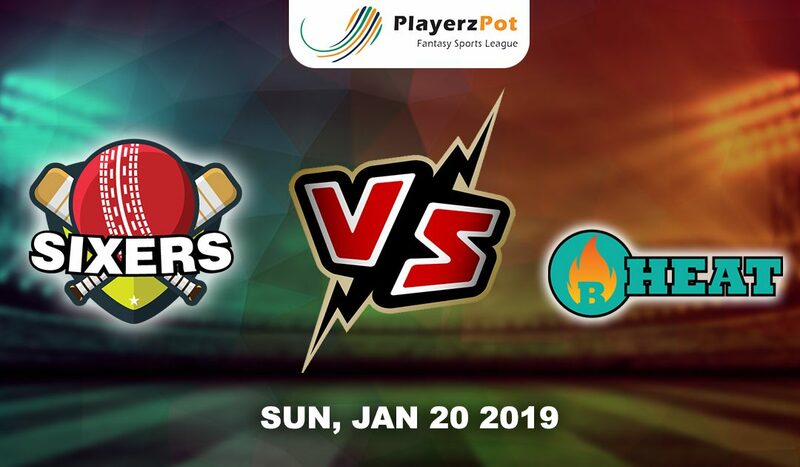 It is going to be matched against Sydney Sixer Bowling and Brisbane Heat Batting, expecting a score of 160 odd and Brisbane Heat should win this contest.